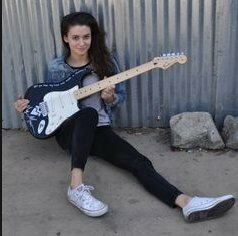 Photo gallery of singer Meg Myers wearing chucks. 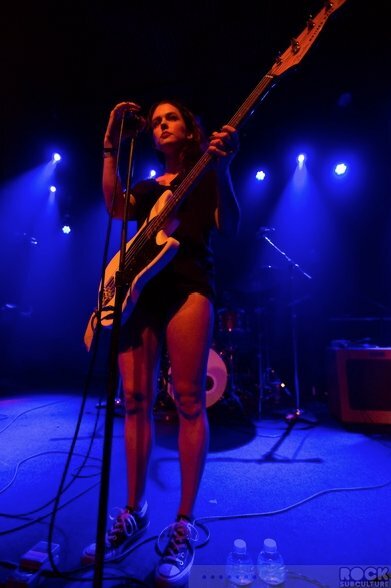 1 Meg Myers Meg wearing nautical blue low cut chucks. 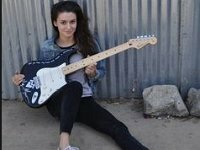 2 Meg Myers Meg seated with her guitar wearing optical white low cut chucks. 3 Meg Myers MEg in performance wearing bright blue high top chucks. 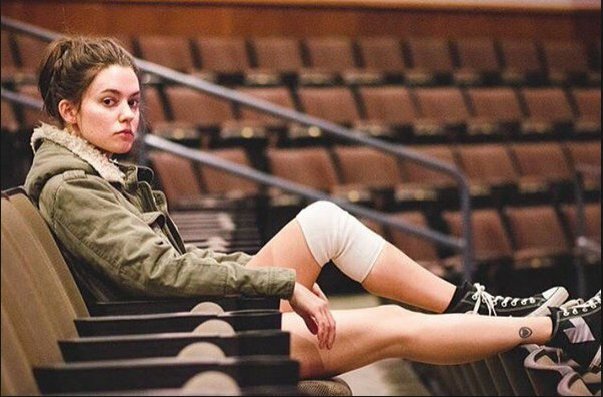 4 Meg Myers Meg seated in an empty auditorium wearing black high top chucks. 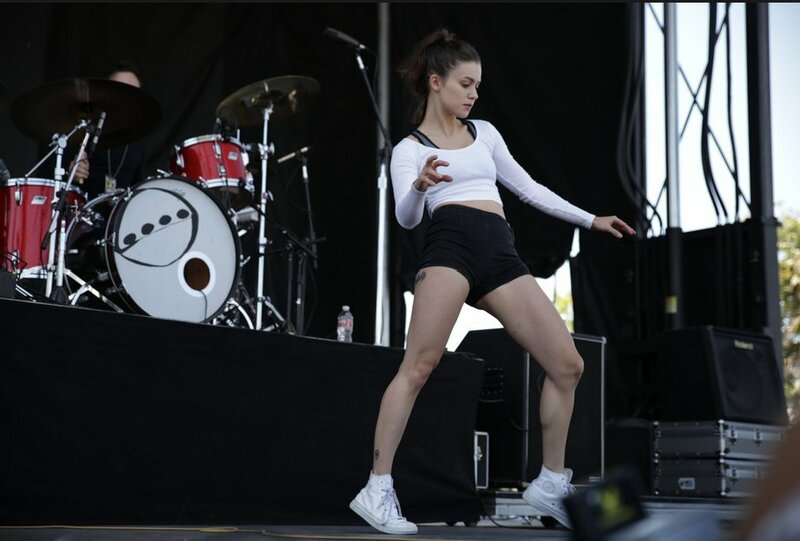 5 Meg Myers Meg on stage wearing leather monochrome high top chucks. 6 Meg Myers Seated in an empty auditorium sporting her optical white low cut chucks. 7 Meg Myers Meg seated on a window sill. 8 Meg Myers Hanging onto a fire escape and wearing black low cut chucks. 9 Meg Myers Meg crouched down in performance, giving her white low cut chucks a workout. 10 Meg Myers Meg on stage performing in her monochrome white leather high top chucks. 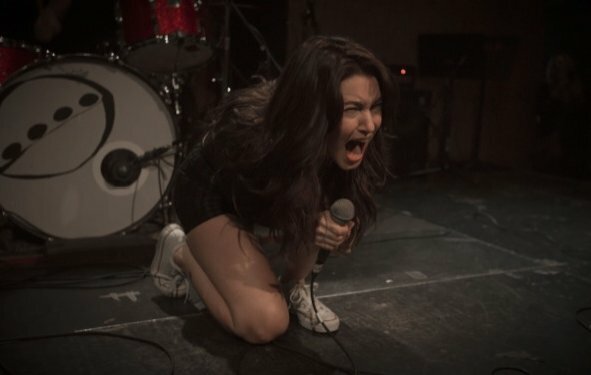 Meg Myers (born October 6, 1986) is an American singer-songwriter, originally from Tennessee's Smoky Mountains. Myers moved to Los Angeles to pursue music and she met Doctor Rosen Rosen, who signed her to his production company. In 2012, Myers signed to Atlantic Records.